"A brilliantly innovative and provocative work of pathfinding dimensions. 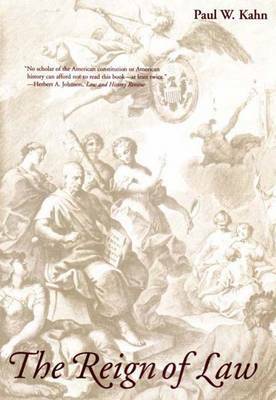 "-Robert M. Ireland, Journal of the Early Republic "No scholar of the American constitution or American history can afford not to read this book-at least twice. "-Herbert A. Johnson, Law and History Review "Kahn is clearly a scholar of great intelligence and creativity. "-Scott D. Gerber, Journal of American History In this ground-breaking book, Kahn uses modern cultural theory to investigate America's most profound political myth: the belief that the rule of law is rule by the people. Kahn explores the elements of the myth, the rhetoric of law that sustains the myth, and the world of meaning the myth creates. He shows us that law must be central to religious, anthropological, and philosophical studies of American life.